This device is specifically designed for studying reflection gratings. 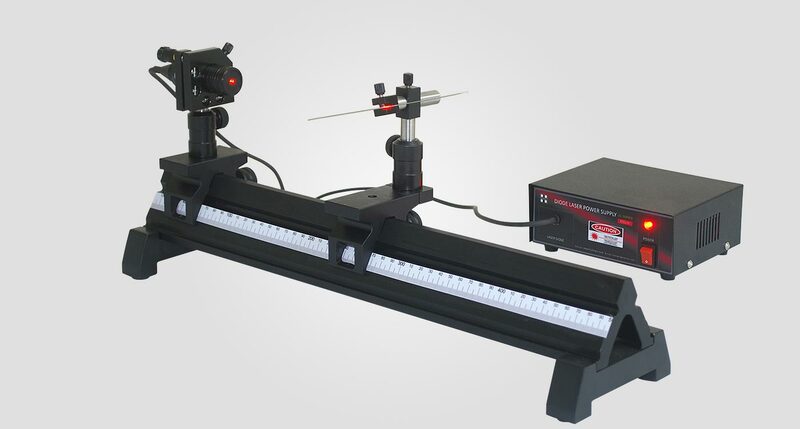 It consists of a laser head mounted on a kinematic holder and a grating mount with angular adjustments. The grating can be fixed at appropriate angles using this mount. Fine adjustments in grazing or incident angle can be done using kinematic tuning of the laser mount. Both the laser and grating mounts are fixed on rail carriers, which are held on a graduated solid aluminum rail. The diffraction pattern is projected on a screen or wall. When a meter scale is used as reflection grating, the pattern can be observed typically at two to three meters. Compact Disc and the meter scale consists of a series of evenly spaced (reflective) grooves and ridges that act as a diffraction grating. The grooves in a compact disc are very close together. CD and the millimeter scale are reflective and therefore the diffraction pattern can be observed by looking at the reflected pattern. The spectrum of colors can be seen reflected from a compact disc. The closely-spaced tracks on the surface of the disc form a diffraction grating, and the individual wavelengths of white light are diffracted at different angles from it. Z0 is the distance between the regions of incidence at the scale and screen, d is the grating spacing, m is the diffraction order. The diffraction spots are taken to lie along Y axis and position of mth spot is represented by Ym. 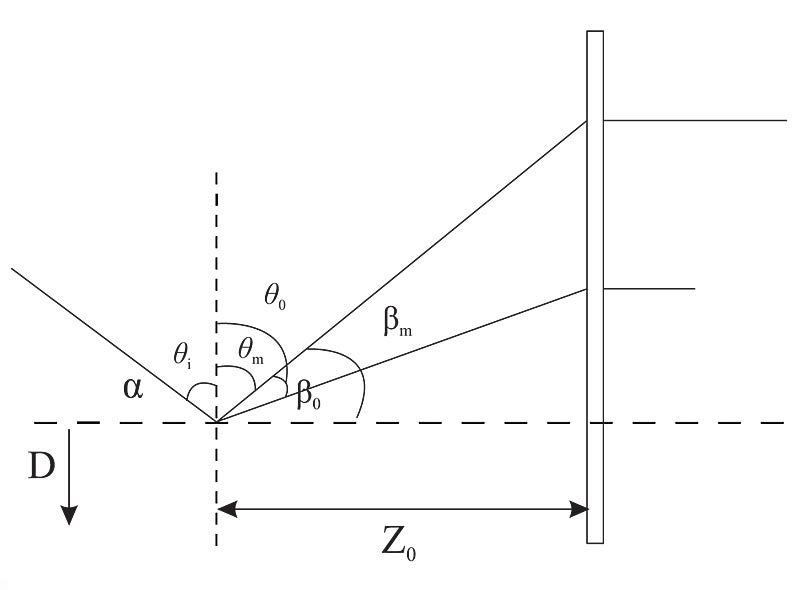 Where n is the order of the bright spot in the pattern, λ is the wavelength of light used and θ is the angle of diffraction.